Self-expression through music comes naturally to Colin Edwards, since he grew up in a musical family. He honed his performing skills in folk clubs, acquiring a diverse repertoire of songs, philosophical, mystical or humorous, performed with guitar or unaccompanied. The pleasures of the late night Celtic tune session gave rise to more instrumental dexterity and familiarity with traditional dance tunes. On moving to Scotland in 2003 he took up the bass guitar as a way of participating in the lively Ceilidh dance scene of Aberdeenshire. 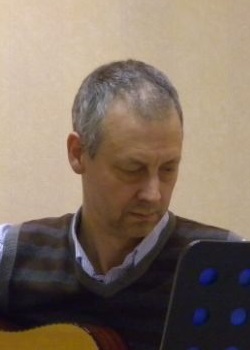 From 1991 to 2003 he developed composing and arranging skills through writing music for two professional touring theatre companies based in Oxfordshire. 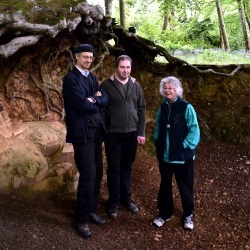 Colin also enjoys collaborating with writers, storytellers and musicians in Aberdeenshire.